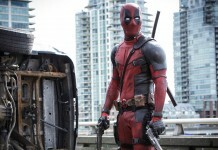 Deadpool review: What are the critics saying? They’re praising it! What are the critics saying about Deadpool? They're all falling over themselves praising it. Deadpool Movie gets a 15 certificate rating! Highly anticipated Deadpool Movie has received it's UK rating, and it may surprise you.